We find certain data that we gather (and the pretty graphs it can result in) quite interesting because it helps schools answer questions and see the patterns more quickly in the intricate field of parental engagement using Facebook. 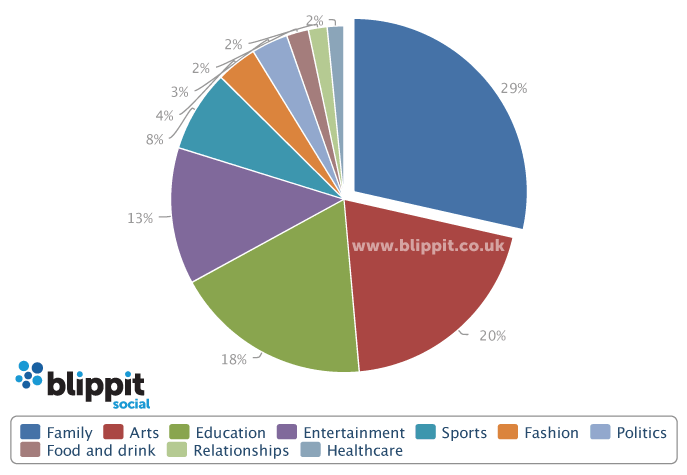 Topics are derived from conversations that friends, fans, followers and connections are having. The two graphs here represent – top level general discussion topics categories and more specific sub categories. It’s just the tip of the iceberg and we can’t wait to dig deeper to help schools understand the impact of their engagement with parents. Below I’ve only focused upon ‘topics & more detailed sub-topics of conversation’ across our schools. If you take a look at the graphs below we’ve created by sampling across schools we support it seems not unreasonable to say that things don’t look too bad! Have a peruse. You may feel that more information is needed to infer a degree of success on the schools’ behalf in engaging with parents and I’d probably agree. Next week I’ll be talking about how we’re now able to more confidently support Heads demonstrate and evidence impact brought about by engaging positively with parents on Facebook. Of course data is only ever just a part of the picture like with anything, but it’s one that we believe is important. 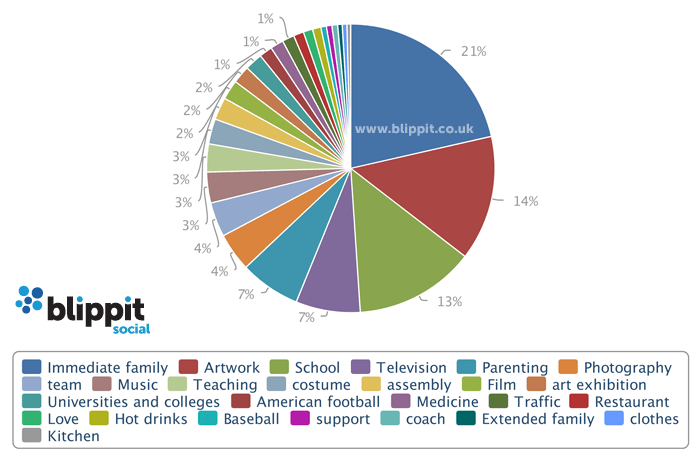 At our Blippit Social CPD event next week, “The Positive Head Teacher’s Guide to Parents & Social Media”, we’re filming the whole thing so at some point that’ll get released for general consumption here on the blog and more on the data conversation will appear then. In the meantime I hope you might find the graphs below interesting at the very least.